It's the news that all stylish women, beauty fanatics, and, let's be honest, Spice Girls fans have been waiting for: Victoria Beckham is launching her own beauty brand. As part of her eponymous fashion label, Victoria Beckham Beauty will be landing later this year with her F/W 19 collection (which we'll be seeing this coming weekend during London Fashion Week). While we don't know the finer details quite yet, Beckham released a statement hinting at what's to come: "I want to take care of women inside and out, providing them with the must-have items in makeup, skincare, fragrance, and wellness that I feel I need in my own life," she said. We've always wanted her to take care of us, so 2019 looks like a good year already. Beckham previously collaborated with beauty giant Estée Lauder on a hugely successful capsule makeup collection back in 2016. In fact, it's Sarah Creal, the former head of global makeup development and marketing at Estée Lauder, who will be heading up Victoria Beckham Beauty in New York. 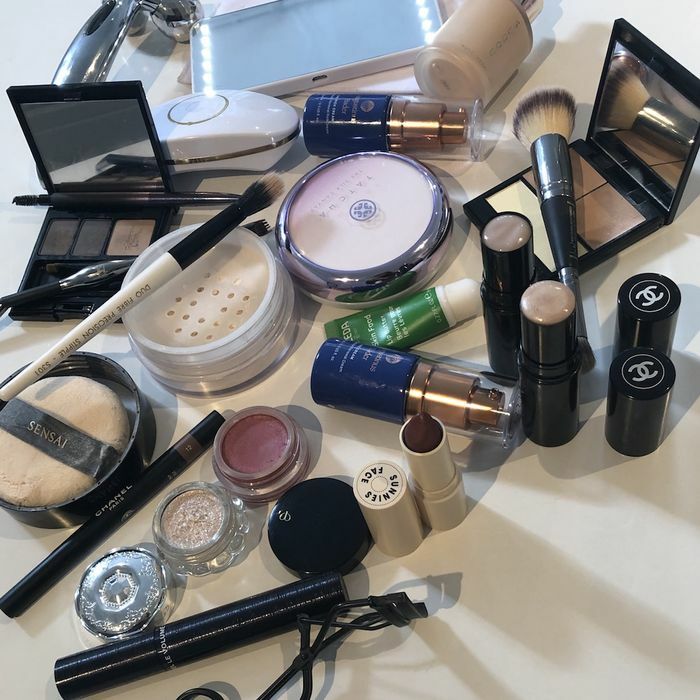 We'll be keeping our eyes peeled for more details to come, but meanwhile, if you want some insight into Beckham's impeccable beauty taste, then check out her VB Beauty reel on Instagram—a wealth of beauty recommendations and product highlights, approved by the lady herself. Scroll down to shop some of her skincare essentials.